Audinate, developer of the Dante audio networking technology, has announced Dante AV, first-of-its-kind integrated audio and video-over-IP solution for manufacturers. Dante AV is a complete integrated audio and video networking solution, bringing to video all the benefits that have made Dante the market-leading audio over IP solution: discovery, ease-of-use and integrated control. 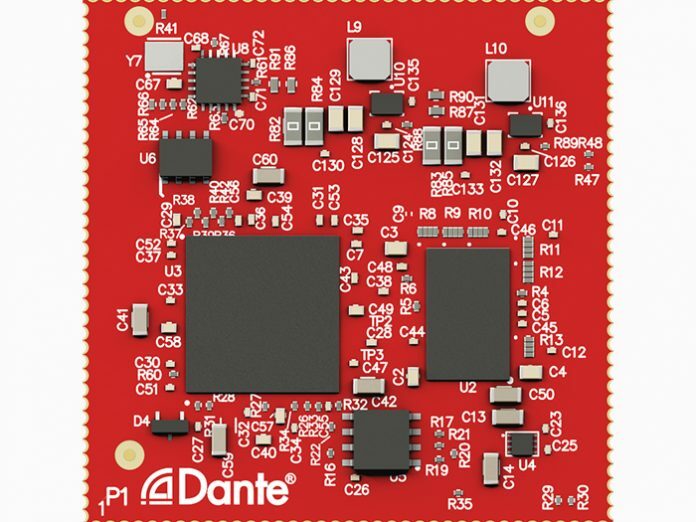 Dante AV enables complete interoperability with more than 1600 Dante-enabled audio products already on the market.